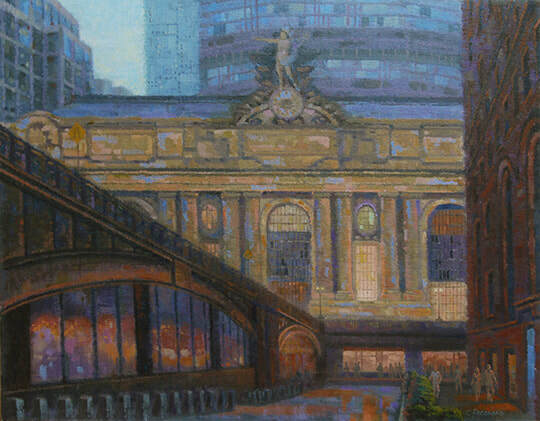 Charles Pecoraro is a native New Yorker. He attended the School of Visual Arts and studied with well-known illustrators such as Jack Potter, Eugene Karlin &Bob Shore. 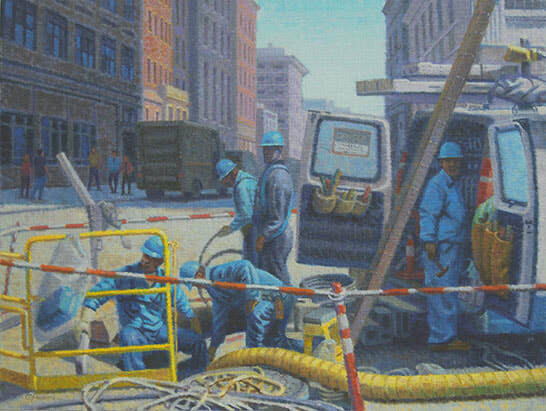 For the next 30 years, he worked as an advertising illustrator, creating scenes for the development of television commercials, print ads, children's programming and corporate presentations. 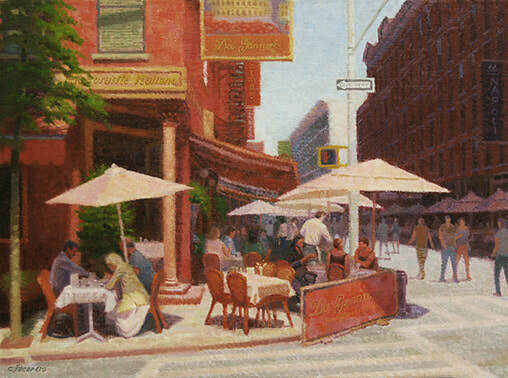 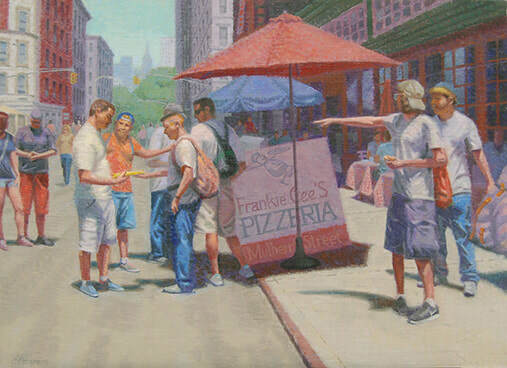 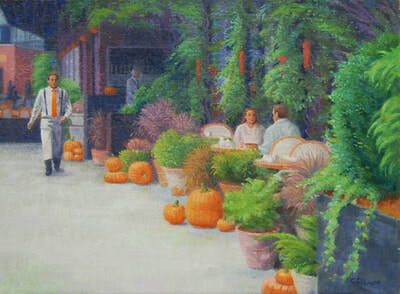 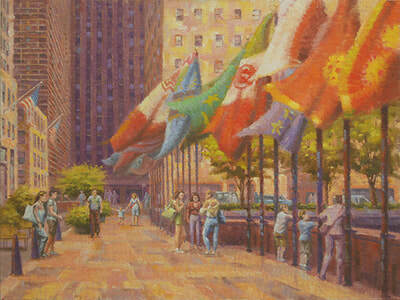 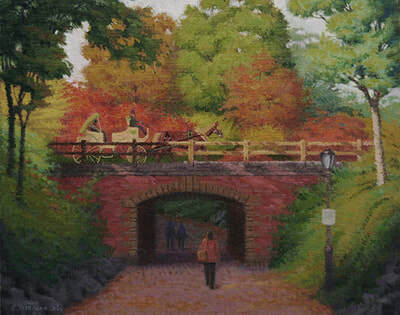 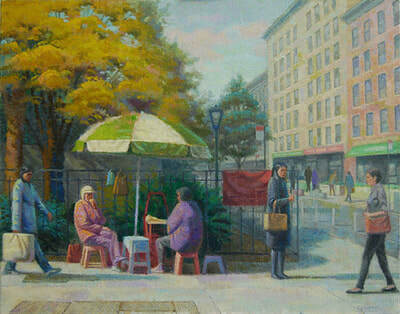 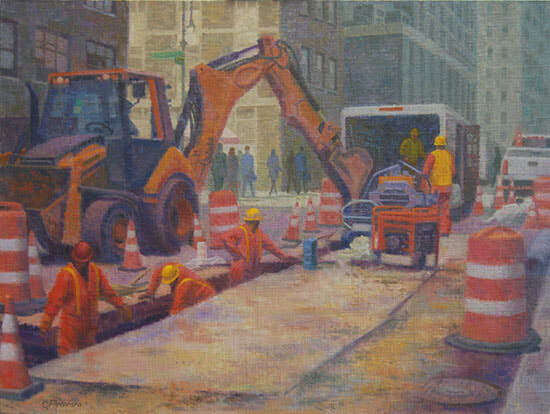 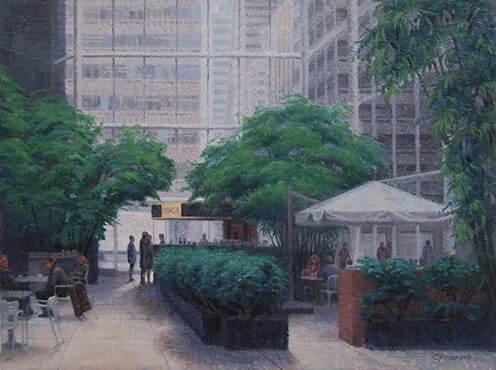 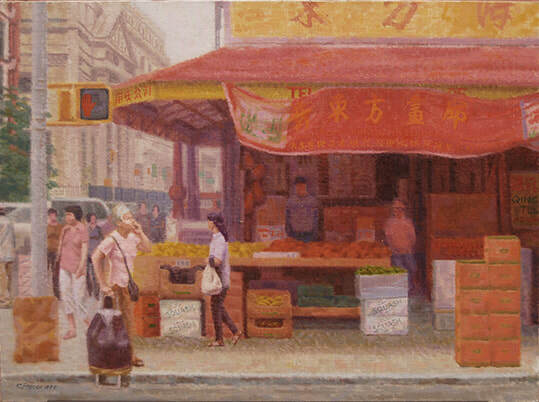 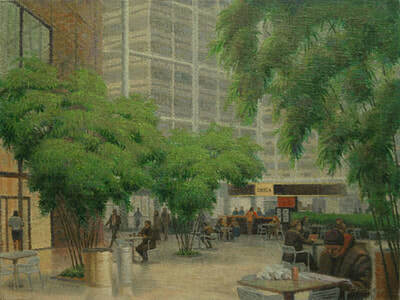 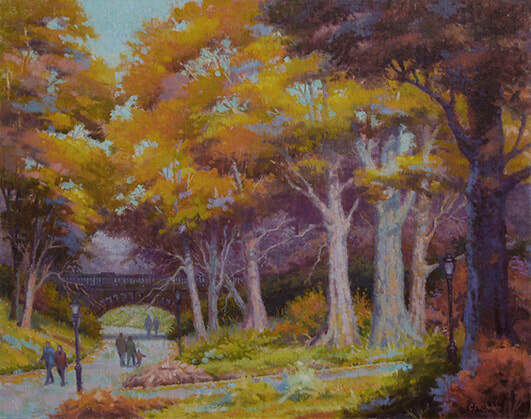 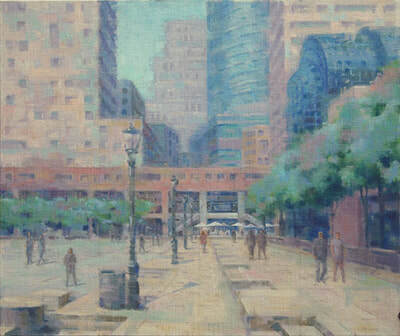 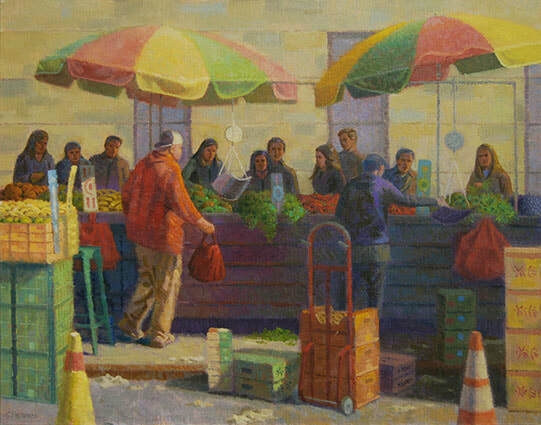 ​In 2008, he became a full-time fine art painter drawing inspiration from the landscapes and architecture of Manhattan. He works in a realistic style, evoking a wide range of moods and pictorial qualities. 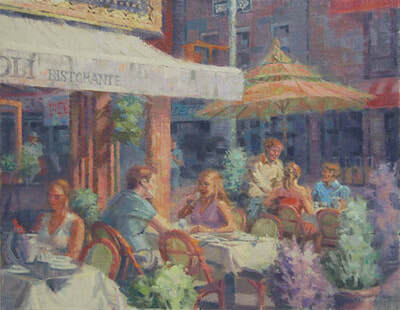 The paintings begin with studies done on location and are further developed in the studio. 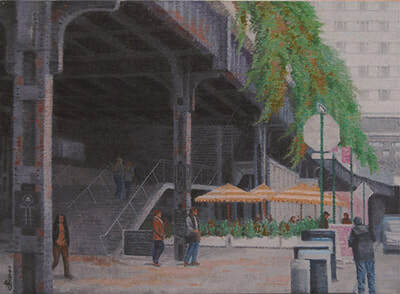 From people enjoying a cup of coffee and a newspaper to a busy social interaction, from sidewalk cafes to Central Park snack stands, his approach is to discover the unique quality of a subject and express it.